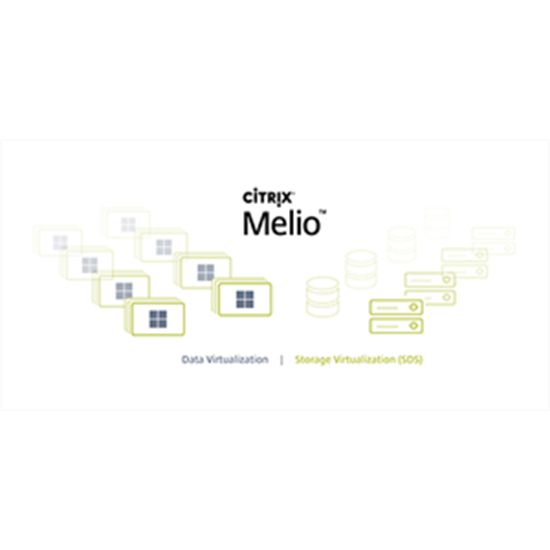 Melio is the data and storage virtualization software platform for high availability and scale-out of XenDesktop and XenApp. It provides storage aggregation and virtualization of storage resources and data across servers for high availability, scale-out and geo-distribution of data and workloads. By enabling high availability and seamless scale-out of mobile workspaces for enterprises of all sizes, Melio improves workforce productivity, ensures business continuity and provides a more efficient way to manage IT for a wide range of business initiatives. Melio seamlessly integrates with existing data center infrastructure and across multiple data centers, whether on-premises, hybrid or cloud. Being server- and storage-agnostic, Melio can run on any existing physical, virtual or cloud infrastructure, including hyper-converged and converged deployments. Comprehensive host-based control and high performance (Tier 1) storage capabilities provide flexibility and elasticity for existing infrastructure, while a unique scale-out architecture enables seamless expansion These features result in significantly less time, effort and cost for set up, administration, and operation of application and desktop virtualization deployments. Melio maximizes infrastructure utilization so that critical data such as user profiles and databases are always available and accessible with a high quality of service. Intelligent load balancing optimizes resource utilization across servers to maintain performance, even during failures.